Interactive toys have been, well, the cat’s pajamas for some time now, for good reason. They are not only entertainment, they also encourage pets to be physically active and to use their minds for fun instead of for getting into trouble. We love interactive toys because they simultaneously challenge a dog or cat’s brain and physical abilities. That’s a must when many companion animals are on their own while owners are away at work or school. The majority of dogs and cats might be homebodies in the 21st century, but they still retain their natural instincts to hunt, work livestock or be active in other ways. Interactive toys bridge that gap between instinct and modern living. “Puzzle toys provide a healthy activity to occupy your dog or cat in the home and make the home environment more fitting to their species-specific needs,” says dog trainer and behavior counselor Mikkel Becker. One of her favorite toys of this type is the Kong Tiltz, which allows dogs to use paws or nose to wobble, twirl and tip the toy to spill out the kibble or treats inside. Another is the CatIt Design Senses, an enrichment experience for felines. Modules purchased separately can be fitted together to encourage normal cat activities: eating grass, scratching on a pad, pawing at objects, hunting food and, yes, napping—on an elevated bed with a therapeutic cushion that can be heated or cooled. Pet owners love interactive toys for a lot of reasons. They help pets to focus, keep them from being bored, and even strengthen the human-animal bond. When pets play with their toys instead of turning furniture, walls and doors into their own personal chewing and scratching objects, people are happier. People and pets playing with toys together enhances the bond, too. “When a dog is engaged with one of our toys, their human can focus on doing what they need to do and know that their dog’s not bored or off chewing something they shouldn’t,” Fagan says. The company’s boredom busters include Nooks, balls in whimsical shapes with nooks and crannies to stuff with tiny bits of treats, peanut butter, squeeze cheese and other goodies; the mint-scented Mazee with an inner, treat-filled maze surrounded by a clear, pliable covering (not for destructive chewers); and the glowing Whistle Ball, which attracts dogs with its whirring sound and unpredictable bounce. 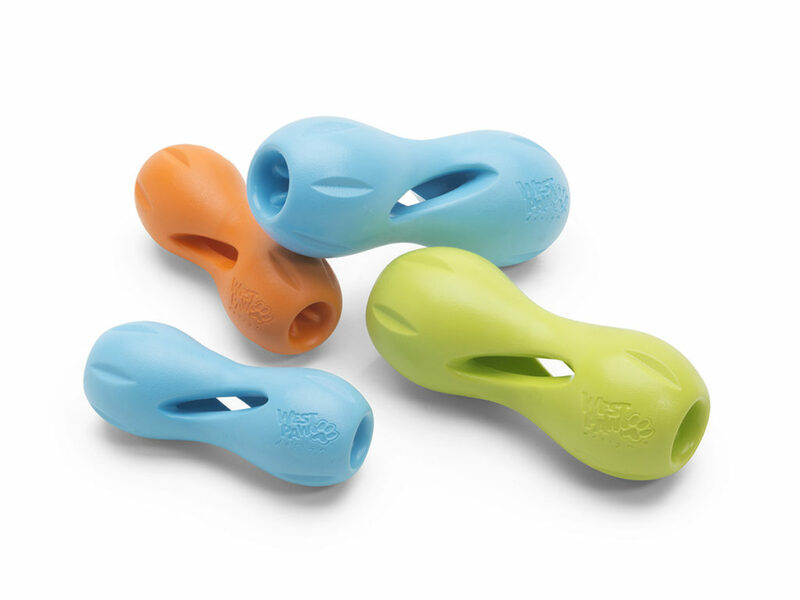 Among our own favorites are the Qbit and the Zipnip by New Angle Pet Products. The Qbit is a treat-release challenge toy in bright colors. It holds different sizes of treats to create different levels of difficulty. Grooves in the sides help to clean dogs’ teeth. The ZipNip is a catnip-infused wobble toy with an erratic bounce for your cat’s hunting delight. We’re also fans of Qwizl, a challenging chew that won the dog product best in show award at pet product trade show Global Pet Expo in March. 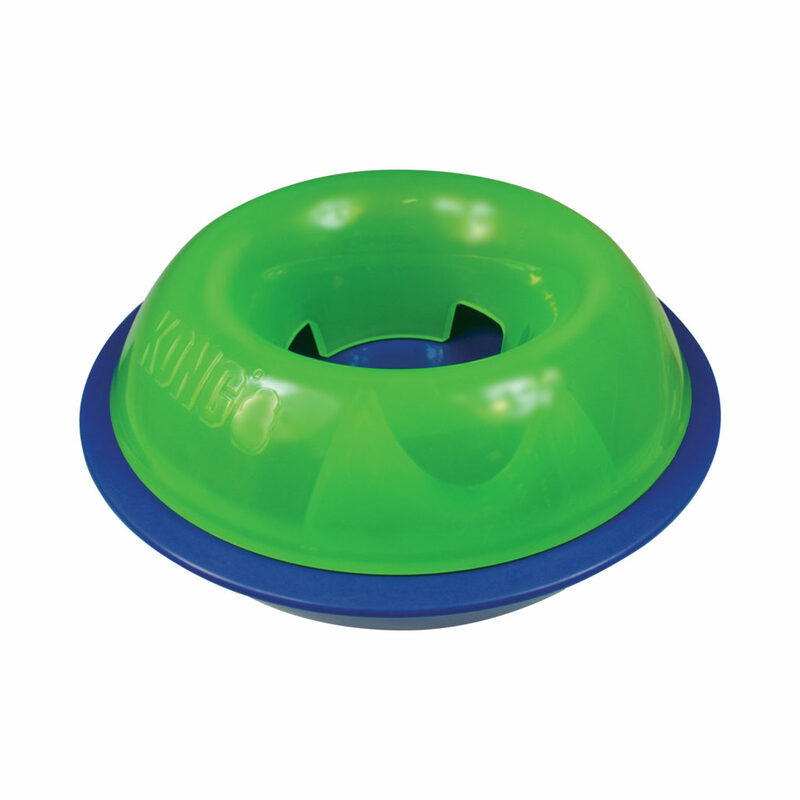 The treat-dispensing toy is made for tough chewers and holds a variety of types of treats. It’s available in small and large sizes and guaranteed to last. Maybe the best thing about interactive toys is the way they keep pets young in heart and mind.